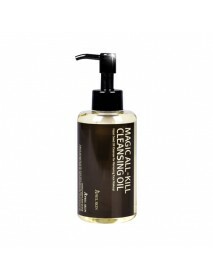 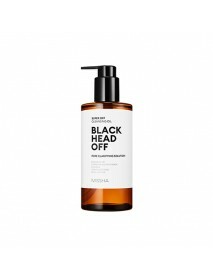 Magic All Kill Cleansing Oil＇Product DescriptionCombination of 9kinds of jatropha plant oilThoroughly removes sun block and heavy makeup.Provides hydration without dehydration.It helps maintain smooth, flexible skin.＇How to usePump th cleansing oil 2..
Milky Wear Natural 90% Olive Cleansing Oil＇Product DescriptionThis first-step cleansing oil is crafted with 90% Organic Olive Oil, which is brimming with skin-loving elements. 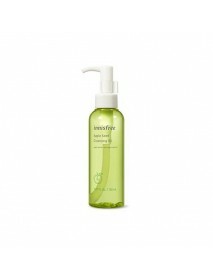 It fully removes heavy-base makeup, even waterproof cosmetics, while lavis..
Secret Of Sahara Cleansing Oil Deep Clean Deep Moist＇Product DescriptionA lightweight cleansing oil that gently removes makeup and impurities.Formulated with antioxidant-rich Prickly Pear Seed oil, this cleansing oil leaves skin refreshingly clean an..
[INNISFREE] Apple Seed Cleansing Oil [Description] Soft roll to remove dark makeup and skin impurities gently, gives non greasy fresh cleansing with cleansing oil. 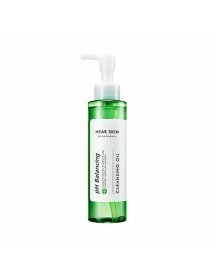 Apple extract and apple seed oil removes dead skin and gives healthy skin care.Fresh..
[INNISFREE] Olive Real Cleansing Oil [Description] Innisfree Olive Real Cleansing Oil is a smoothes and supple deep cleansing oil with organic olives. 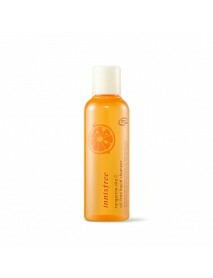 It deep cleansing oil fully adheres onto your skin to remove and cleanse makeup and impurities l..
Tangerine Vita C Oil-Free Liquid Cleanser＇Product DescriptionOne step cleanser with oil free formula for fresh impurity removal, freshly squeeze Jeju tangerine peel water leaves clear moisture. 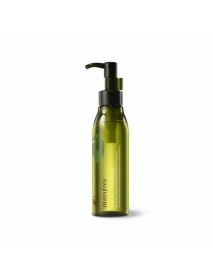 Absorbs oil and sebum oil-free formula for fresh daily c..
Calendula Complete Cleansing Oil＇Product Description94% Pure Plant OilFor all skin typeIt is a mild and complete cleansing oil that cleans deep make-up and skin wastes with natural plant oils are good for skin.It can give fresh and moist skin after c..
[KLAIRS] Gentle Black Deep Cleansing Oil [Description] The Klairs Gentle Black Deep Cleansing Oil is composed of various vegetable oils helpful for skin care.It’s easily washable texture allows mild yet effective cleansing of dirt and makeup witho..
M Perfect B.B Deep Cleansing Oil＇Product DescriptionThis deep cleansing oil perfectly removes B.B cream residue to be well adhered on the skin with its fine particles.Containing Tea Tree Oil and Patent ingredient, it protects and soothes your skin.It..
Near Skin PH Balancing Cleansing Oil ＇Product DescriptionSlight acid cleansing oil protects skin with slight acid base and provides moist finishing with moisture essence ingredient.Mild cleansing protects your skin with slight acid base and makes you..
Super Off Cleansing Oil #Blackhead Off＇Product DescriptionPore care cleansing off not only to provide deep cleansingbut to solve dead skin cells and blackheads.＇How to usePump the cleansing oil on the palm and apply on the dry faceand melt make-up as..